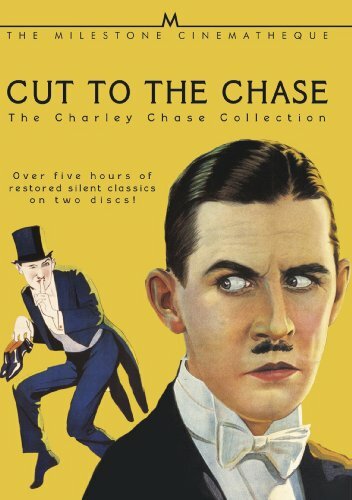 The long-awaited Charley Chase collection to debut on DVD NOVEMBER 6, 2012 to celebrate Chase's 100th anniversary in film! Charles Joseph Parrott of Baltimore, Maryland started out in vaudeville during the rough and tumble days in the first decade of the 20th century. Exactly 100 years ago this year, this young man fresh off the stage, started working at the Christie Film Company. During the next decade he worked as a juvenile lead, a gag writer and a comedy director. When he changed his name to Charley Chase and found himself featured in the Hal Roach's short comedies, he became one of the great geniuses and stars of Hollywood's golden era of silent comedy. As renowned as Charlie Chaplin, Buster Keaton and Harold Lloyd at the time, Chase easily matched them laugh for laugh. The always-dapper Chase specialized in portraying the pleasant common man with very common skills placed in the most uncommon of circumstances. DVD. Mile00118 784148011844 978-1-933920-14-6. Milestone Film & Video enters its 22nd year of operations with a reputation for releasing classic cinema masterpieces, new foreign films, groundbreaking documentaries and American independent features. Thanks to the company's work in rediscovering and releasing important films such as Shirley Clarke's The Connection, Charles Burnett's Killer of Sheep, Kent Mackenzie's The Exiles, Mikhail Kalatozov's I Am Cuba, Marcel Ophuls's The Sorrow and the Pity, the Mariposa Film Group's Word is Out and Alfred Hitchcock's Bon Voyage and Aventure Malgache, Milestone has long occupied a position as one of the country's most influential independent distributors. In 1995, Milestone received the first Special Archival Award from the National Society of Film Critics for its restoration and release of I Am Cuba. Manohla Dargis, then at the LA Weekly, chose Milestone as the 1999 "Indie Distributor of the Year." In 2004, the National Society of Film Critics again awarded Milestone with a Film Heritage award. That same year the International Film Seminars presented the company its prestigious Leo Award and the New York Film Critics Circle voted a Special Award "in honor of 15 years of restoring classic films." In November 2007, Milestone was awarded the Fort Lee Film Commission's first Lewis Selznick Award for contributions to film history. Milestone/Milliarium won Best Rediscovery from the Il Cinema Ritrovato DVD Awards for its release of Winter Soldier in 2006 and again in 2010 for The Exiles. In January 2008, the Los Angeles Film Critics Association chose to give its first Legacy of Cinema Award to Dennis Doros and Amy Heller of Milestone Film & Video "for their tireless efforts on behalf of film restoration and preservation." And in March 2008, Milestone became an Anthology Film Archive's Film Preservation honoree. In 2009, Dennis Doros was elected as one of the Directors of the Board of the Association of the Moving Image Archivists and established the organization's press office in 2010. In 2011, Milestone was the first distributor ever chosen for two Film Heritage Awards in the same year by the National Society of Film Critics for the release of On the Bowery and Word is Out. The American Library Association also selected Word is Out for their Notable Videos for Adult, the first classic film ever so chosen. Street: NOVEMBER 6, 2012. DVD (c) 2012 Milestone Film & Video.